Coming Soon From Italy. We Hope. And they just keep showing up… More from Animation World Network. 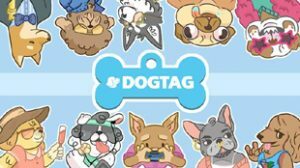 Rai Com (from Italy) have acquired several new animation projects for distribution, and of course several of them are furry in nature. 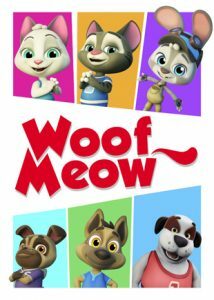 Woof Meow is a CGI series directed by Alexey Kotenochkin and produced in Russia by AA Studios. 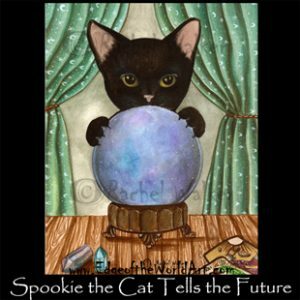 “The series features the funny and entertaining adventures of the two kittens, Binx and Lulu, and their puppy-dog pals Oscar, Snickers, Sparky, and Hopper the Inventor. 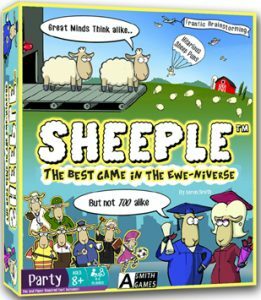 Together, they play games, make up new inventions and start real or imaginary adventuresome trips to explore the world around them. 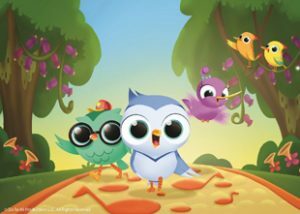 In each episode, someone gets in trouble and needs the support of the group of friends to solve the situation.” Then there’s Dixiland, a more traditional 2D animated series for preschoolers. “Dixi, the small winged elephant who is the protagonist of the story, joins other creatures as they experience joy, fun and problems.” Both are headed to MIPCOM and looking for international distribution. Dogs and Cats, Sailing Together. Mass Hysteria! Looks like this is the season when folks-in-charge are shopping around for new TV series to sell around the world. Now from Animation Magazine we learn that Jetpack Distribution have picked up the world-wide rights to a 2D series from Britain called Pip Ahoy! 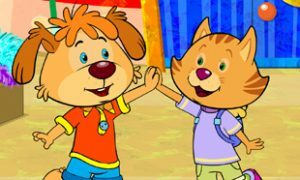 It goes like this: “The series is a warm and boisterous show that centers on Pip and his friends as they carry out rescue missions, solve problems and take care of their community. It features the inimitable voice of Sir David Jason, who plays Skipper, an old seadog and Pip’s Uncle… Pip’s fans can also interact with the property offscreen in the UK thanks to recent renewals of both the master toy and apparel licenses and, in association with PJSL, character meet and greets at popular family entertainment parks across the country this summer. CHF Pip! Plc and PJSL are now in talks with two parks for a long-term, on-site Pip Ahoy! live show.” Good news for cartoon fans in the UK all right. Meanwhile for the rest of us, here’s some episodes on YouTube. 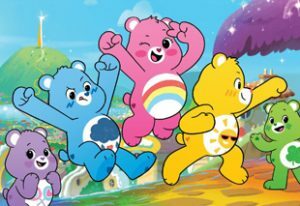 Even more recent news from Animation World Network: Now we hear about a new musical animated TV series for preschoolers called Do, Re & Mi, currently starting production. “Created by Jackie Tohn (Glow, A Futile and Stupid Gesture, American Idol) and Michael Scharf (Moon and The Son: An Imagined Conversation), every episode of Do, Re & Mi starts with an adventure and ends in a song, featuring original tracks performed by Kristen Bell (Princess Anna in Disney’s Frozen), Tohn, and other surprise guests… Do, Re & Mi is about three birdy best friends named Do, Re & Mi who live in a world filled with rhythm, beats and melodies. 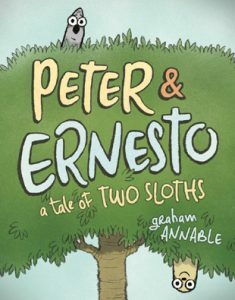 Along with their day-to-day adventures, the characters model ways for parents and young kids to talk about music and connect these ideas to their social-emotional development.” [ Fun fact: Ms. Bell actually had one line in Zootopia, as Priscilla the sloth. ] No word yet on a planned release date. Once Again, We Have A Clue! There’s more big news from Animation World Network. Looks as if a kids’ TV favorite from the 90’s has a new “leash” on life! (Sorry, sorry…) “Nickelodeon’s Blue’s Clues has found a new pal for Blue in TV newcomer and Broadway actor Joshua Dela Cruz, and a brand-new title: Blue’s Clues & You. Dela Cruz will have a new generation of preschoolers searching for clues with the beloved energetic girl puppy Blue. 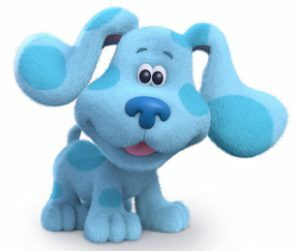 Production on 20 new episodes of Blue’s Clues & You will commence this month in Toronto… In Blue’s Clues & You, beloved puppy Blue invites viewers to join her and the live-action host on a clue-led adventure and solve a daily puzzle. With each signature paw print, Blue identifies clues in her animated world that propel the story and inspires viewers to interact with the action.” Original series host Steve Burns is in on this new revival too, which is a good thing.